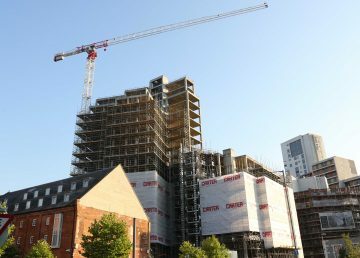 Albion Wharf, or The Winerack as affectionately known by much of the town, has stood unfinished over the Ipswich waterfront since 2009. 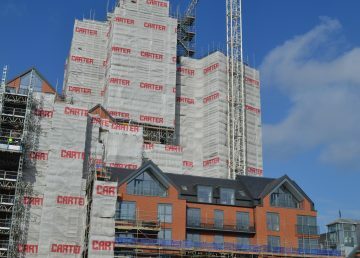 Local developer, John Howard of Ipswich Wharf Developments bought the building in 2014, with a view to restarting the development. 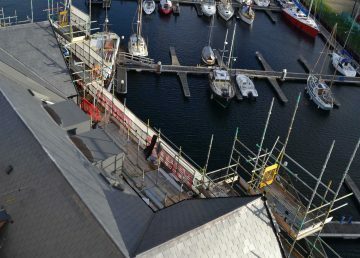 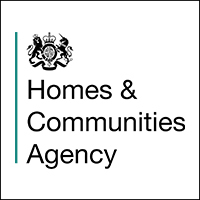 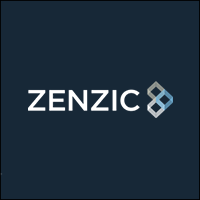 Working closely with the developer, we undertook extensive work to ensure the concrete frame that had been exposed to the elements over many winters, had not been compromised and was stable to build upon. 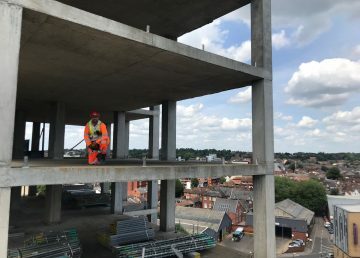 Enabling works began in January 2018, with the 80m tower crane being installed in May 2018, which is one of the tallest cranes in the eastern counties. 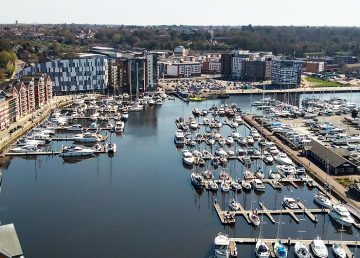 These contemporary, craft apartments will benefit from the stunning vistas across the river Orwell. 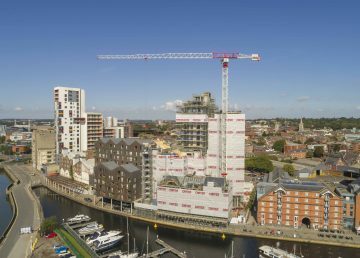 Which once completed, Albion Wharf will be the one of the tallest residential building in Ipswich at 19 storeys high, including 150 flats and 5,000 square feet of commercial space. 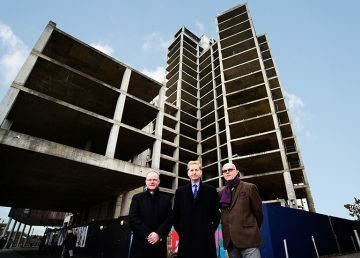 All the flats will have access to a fully automated car stacking system, storing up to 250 cars at any one time via a system of 3 turntables and lifts. 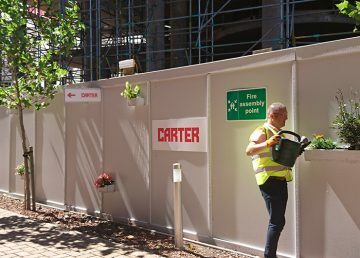 Designed and installed within an 8-storey high section within the centre of the building, this car stacker will allow a car to be delivered to the ground floor within 2 minutes of the occupant leaving their flat. 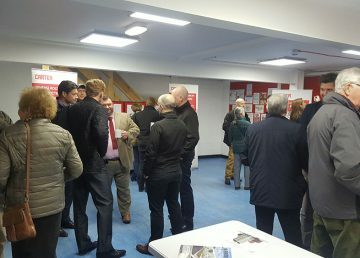 Albion Wharf will look to be completed by 2021. 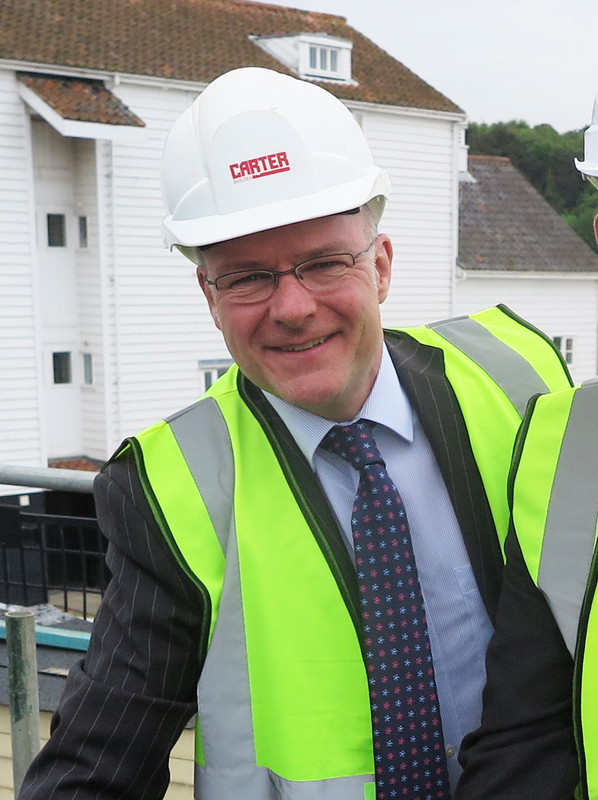 I am delighted that our Ipswich office will be delivering this exciting project. 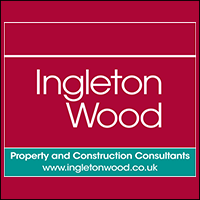 As a company with a long history in the town, we are proud to play a part in the vision for regeneration. 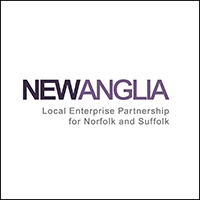 Ipswich has a huge amount to offer and we are honoured to stand alongside all the partners involved in the Winerack. 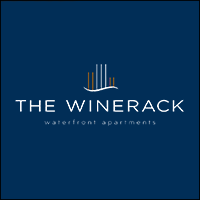 Click here to visit the official Winerack website and register your interested in these fantastic waterfront apartments.